Do you know a golfer? 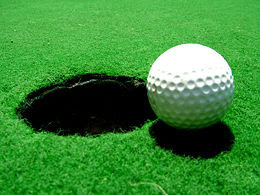 There's no game like golf: you go out with three friends, play eighteen holes, and return with three enemies. Golf was once a rich man's sport, but now it has millions of poor players.